OSSI builds the relationship between industry and its members, offering regular meetings, conferences, marketing opportunities, registry, applications and other collaborative ventures. Industry plays an essential role in providing services, products, and equipment that supplement the relationship between the healthcare provider and the patient. 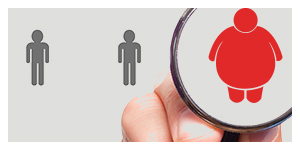 OSSI recognises the importance of industry and is proud to partner with leading bariatric/metabolic companies through its Corporate Council offering a venue for awareness and support. Corporate Council enriches community relations, contributes financially, and plays a leadership role in the future of treatment of individuals with obesity and metabolic syndromes. Membership grant access to OSSI leadership who provide field updates and exclusive communications on the state of the field/society via/phone and face-to-face meetings. The Corporate Council was organised by a select staff of the executive committee of OSSI to develop and enhance the joint strategies and efforts of bariatric surgeons, healthcare, and industry professionals in a proactive approach to addressing the challenges of obesity. OSSI is proud to partner with some of the medical industry’s premier hospitals and companies to achieve this goal, and aims to better facilitate communications and feedback between the Federation, our members and industry professionals. The Council provides an opportunity, in making corporate’s voice heard in the mission of improving bariatric/metabolic care. Support from industry professionals also helps OSSI further our goal of providing continuing education resources to our members and other bariatric professionals. OSSI provides appropriate opportunities for communication and exchange of ideas with our members through our conferences, member communications, and other collaborative ventures. Education / Research / Resources to OSSI members and other bariatric professionals.